The Staalmeester® synthetic blend is set into a seamless stainless steel ferrule which prevents leakage on the handle. Best used for hard to reach surfaces and detailed work areas. 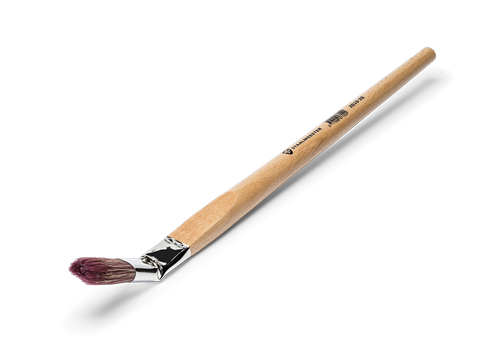 This universal brush is suitable for both synthetic and water-based paints and ensures a smooth finish. This bended paintbrush filled with pure white quality bristle has a seamless stainless ferrule to avoid leakage on the beechwood handle. Excellent for detailed work areas such as windows and wall corners, suitable for low-VOC and solvent-based paints. This bended paintbrush filled with pure black China bristle has a seamless stainless ferrule to avoid leakage on the beechwood handle. Excellent for detailed work areas such as windows and wall corners, suitable for low-VOC and solvent-based paints. 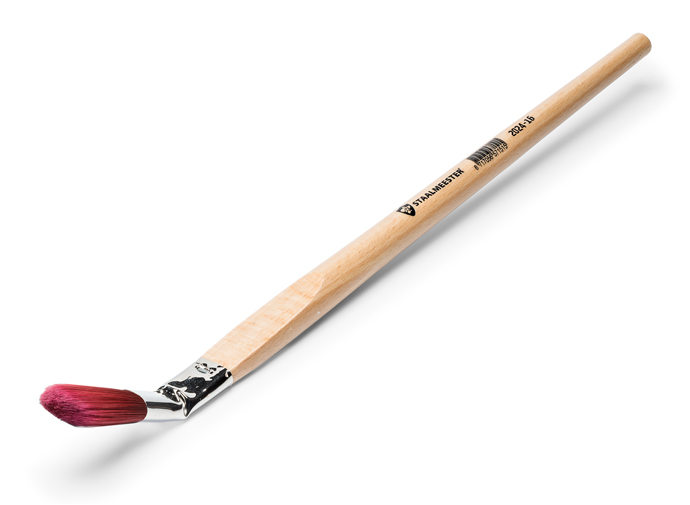 The brush with the best price/quality ratio.